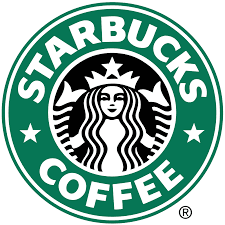 Starbucks Corporation (NASDAQ:SBUX) is a Dividend Challenger with 6 consecutive years of dividend growth. The future growth prospects for this company are phenomenal with high-single-digit same-store sales growth and plans to open 1,800 additional stores during 2016. Management is even testing alcohol sales in select locations to make additional use of the existing stores to increase profit per store even more. Since I initiated a position in the company back in April 2014, Starbucks has been the top performer for my portfolio as judged by internal rate of return. The current yield is a bit low for many dividend growth investors, but the growth more than makes up for it. Thus far, my dividend income from Starbucks has increased over 50%, thanks to consistently high dividend growth. There's a lot to like about Starbucks the business. However, Starbucks the stock doesn't look intriguing to me at the current price levels. Identifying excellent companies is easier than finding them trading at excellent valuations. However, that doesn't mean that you have to ignore the company and hope for a market selloff before initiating a position. I like SBUX although their dividend is low. Coffee isn't going away anytime soon and Starbucks seems to have a strong hold on that market. Hey I am a big lover of star bucks, specially desserts and banana chocolate cake. The cupcakes are yummy I am sure people with sweet tooth will love it. Now must visit for coffee. I hope coffee also give amazing taste. I am from Chennai, working in a Bus advertising agencies in Chennai.